Today I’m interviewing Diva Jefferson. 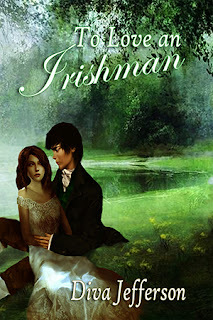 Her book, To Love An Irishman is a historical romance with paranormal elements and was released on March 17th, 2012. I am so glad you stopped by, Diva. I have a few questions for my readers, so let’s start: Why have you become a published author? Over ten years ago, I read my first romance novel. I believe it was A Rose In Winter by Kathleen E. Woodiwiss. I loved her writing style, the way her characters talked, and the details laden within the story. I loved mysterious heroes, and beautiful heroines who need their love in return. Five years later, an idea generated a story in my head and I wrote a novel. Life gives us so much throughout the years. We have an opportunity to learn, grow, and adapt to changes. Stories give us an opportunity to read someone else’s life. To see what they see, and experience what they experience. Sometimes they empower us. My road to publication hit rock bottom after I wrote my first novel. Rejection after rejection kept pouring in, but I never gave up. So I tried self-publishing. Yes, it took more work, but my story was told to those who’d read it. I just wanted people to read it. Last year, my new year’s resolution was to find a publisher or an agent. Of course, I took a pitch course and queried different editors. Soon all I needed to do was to wait. A few months later, I received a manuscript request, and then offered a contract in May. I continued an agent search, but realized I could do it alone. Now I am able to reach so many more readers and like before, I have another opportunity to share my story with everyone. This is why I’ve become a published author. I love sharing my stories! Isn’t it wonderful when dreams comes true? Having achieved your goal to be a published author, what is the most rewarding thing? The most rewarding thing about being a published author is not only reaching more readers, but I am able to provide my experience to help others reach their goals. Before, I could only guess what happens from query letter to contract and contract to publishing. Now I have so much more information to give! I call that Paying It Forward. Helping another writer is something I try to accomplish as well. I found the most help within my local Romance Writers of America chapter. Are you a member of any writing organizations and, if so, have they helped? 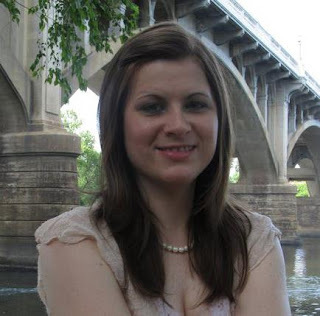 I am a member of Romance Writers of America, Celtic Hearts Romance Writers, and the South Carolina Writer’s Workshop. SCWW is my local critique group, and without their ongoing guidance my rejection letters would’ve drained my confidence. 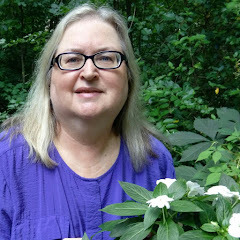 With RWA and CHRW, I am able to connect with those who write in my genre, and I know if questions arise, there is always someone willing to help. It’s always good to have writers on your side. If you could join a group, you won’t regret it! Now let’s talk about the gritty part of publishing a book. What sort of promo do you do? Do you have help? I use Facebook and Twitter for most of my promo. 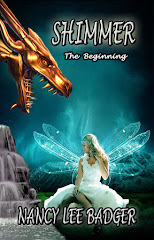 I create book trailers, mention my books in new blogs, and constantly update all social networks with current book news. Sounds time consuming and some writers find they have little time to write their next book. What’s next for you? 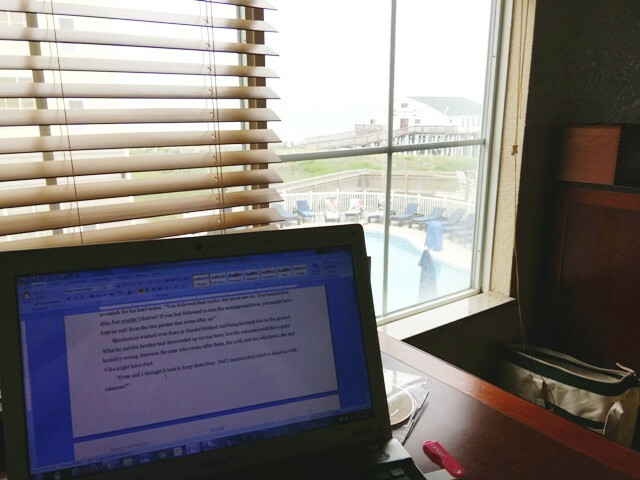 I am currently writing two novels. One is a sequel to my first self-published work, and the second is a Scottish romance taking place during the Jacobite Rising of 1745. 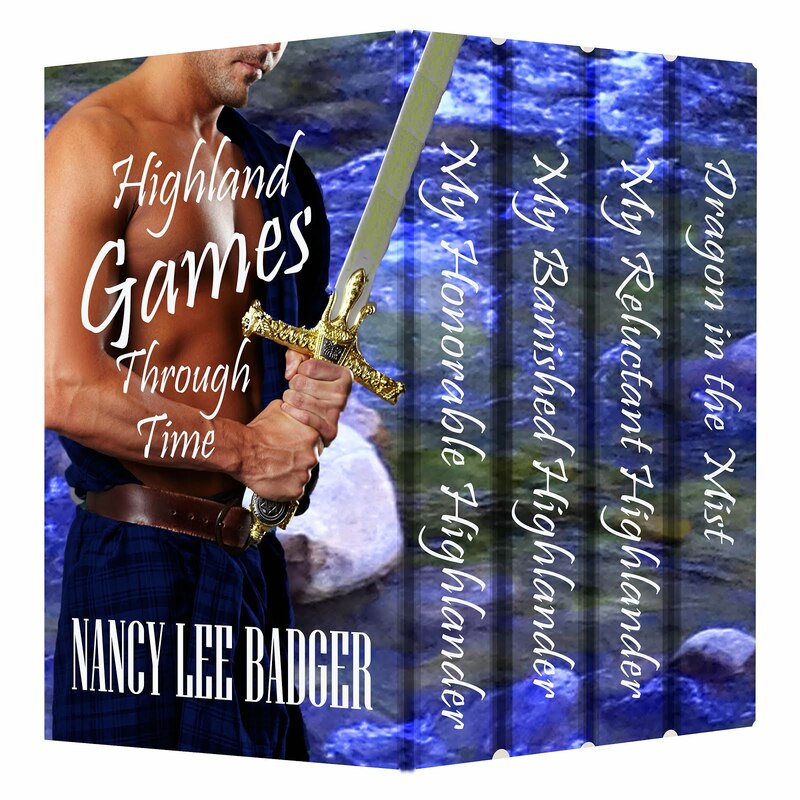 Glad to hear you have kept busy and, as my readers know, I have a soft-spot for all things Scottish! Cannot wait! Upon his death in 1823, English nobleman, Lord Peyton leaves his daughter Lady Aveline with two choices—stay single and inherit only a small farm in Ireland, where she might just be able to eke out a living, or get married and live in luxury, inheriting all his wealth and property. Fiercely independent, Aveline heads for Ireland only to run afoul of her father’s farm manager, the devastatingly handsome Ciaran O’'Devlin. Alone in a strange country, Aveline yearns for love and friendship, but Ciaran offers only criticism and disdain. Confused and angered by strange visions and her growing attraction to Ciaran, Aveline is determined to make the farm prosper—despite the insufferable Irishman. Ciaran mistrusts Aveline’s intentions and refuses to admit that a willful, English woman now owns the farm that should have been his. Although he insists Aveline should go back to England, he cannot deny their budding passion. Yet, he knows—even if she doesn’t—that nothing will come of it. Not only can’t a poor Irishman marry an English noblewoman, but when Aveline learns of his past, she’ll want nothing more to do with him. 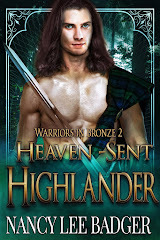 Ciaran has always known that each decision carries a consequence, but it’s only when he stands to lose Aveline that he realizes what a heavy price his past decisions may have. Diva Jefferson was born in sunny Orlando, FL. Later, she moved to South Carolina where she currently resides. She lives with her amazing cat named Muffin and her fiancé, Connor. She has a colorful relationship with the romance genre. She’s been writing for over ten years and wouldn't trade it for the world. 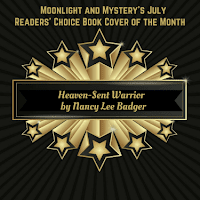 She is a member of the National Romance Writers of America, Celtic Hearts Romance Writers, and the South Carolina Writer's Workshop. She truly believes that life is a journey worth making. or my blog at http://diva-jefferson.blogspot.com. Thanks so much to joining me today, Diva! I was thrilled to hear, last month, that my first self-published title, DRAGON IN THE MIST, was a finalist in its category in the Silken Sands Self-Published STARS contest. A month of finger crossing and prayers while I continued to work on my next manuscript came to the best conclusion I could have hoped for. I was even more surprised to get the photo of my prize from fellow-author Rashda Khan who graciously accepted the award for me at the Gulf Coast Romance Writers of America Chapter’s conference this past weekend. 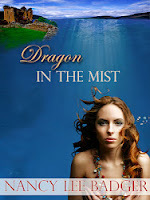 DRAGON IN THE MIST was my first attempt to self-publish and I was happy to see a contest open only to self-published novels. How else can I get readers to see that my book is a fun-filled contemporary fantasy that happens to include the Loch Ness Monster and a present-day American geoligist? Even though there doesn't seem to be a drop of the Irish luck flowing through my veins (darn! 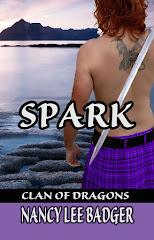 ), I want to wish all my Celtic Heart Romance Writer pals a great holiday. 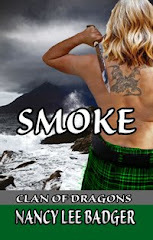 CHRW is an on-line chapter of Romance Writers of America and is for authors whose romantic fiction is set in/or deals with characters of Scotland, Ireland, or Wales. If you are already a paid member of RWA, please consider joining us!